Peter J Myatt passed away 9 March 2012. A Portsmouth lad Peter enlisted as an Army Apprentice Tradesman to train as an Engine Fitter at Beachley Camp Chepstow. He joined 9 Indep AB Sqn at Malta Barracks Aldershot as a member of 3 Troop and soon became prominent as a Rugby wing three quarter but sadly in those early days his shoulder would come out of joint whereby with the help of another team member and the nearest tree he would knock it back in. Such was the man. 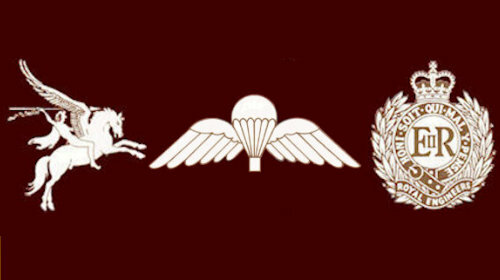 In 1951 upon reaching Famagusta in Cyprus he became a L/Cpl as orderly Cpl to SSM Bill Powell but thankfully upon reaching the Canal Zone it was recognised that he was a round peg in a square hole and he found his niche as an outstanding MT Cpl with 3 Troop. Throughout this time he kept the Troop transport running very smoothly and played Rugby in the Sqn team. 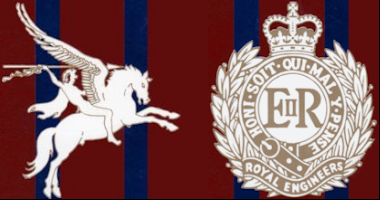 On return to the UK in 1954 at Waterloo Bks East was promoted Sgt eventually becoming Park Troop Sgt. He also decided at long last to have his shoulder repaired and ended up in BMH Woolwich where he met an army nurse, a bonny Scottish lass Sally who he subsequently married in Ayre with several mess members in attendance. Then he decided to attend an Engine Fitter Class 1 course, which he passed with flying colours and then applied to return to 9 Sqn, which was refused, on the basis that the Sqn had no establishment for an Al Engine Fitter. Peter was livid and after much thought applied to train as a pilot with the AAC this was granted and he passed the course and finished his military service with the AAC. Having served in various locations he was promoted to Major having been awarded the AFC during his mission in Borneo. After his army service he worked for various helicopter companies in the Caribbean as an instructor, in Aberdeen shuttling back and forward to the Oil Rigs until retirement age was reached. Farewell old pal God Bless.